Do you have what it takes to be a LEADER in Wilson? Do you have the aptitude and aspiration to make decisions that leave a positive IMPACT on our community? Do you have the INITIATIVE to accept challenges that others can’t or won’t? 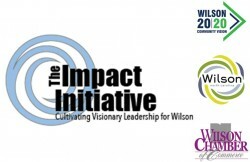 Then you may be a perfect match for The Impact Initiative: Cultivating Visionary Leadership for Wilson. 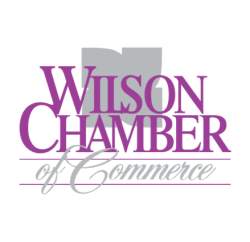 A partnership between Wilson 20/20 Community Vision, Wilson Economic Development Council, and Wilson Chamber of Commerce, the Impact Initiative is a first-of-its-kind leadership program for Wilson. This selective and rigorous course is designed to take highly-talented leaders currently serving in limited roles, equip them with elements needed to succeed as a leader in a broader way, and deploy those leaders to highly visible public service capacities across our community. Impact Initiative participants will emerge with an acute understanding of community needs, and the readiness to meet them. This reliable pipeline of leadership means that Wilson will be evermore fit to seize opportunity and overcome adversity in a hypercompetitive global marketplace. Click on the links below to learn more about the Impact Initiative, and how you can apply.